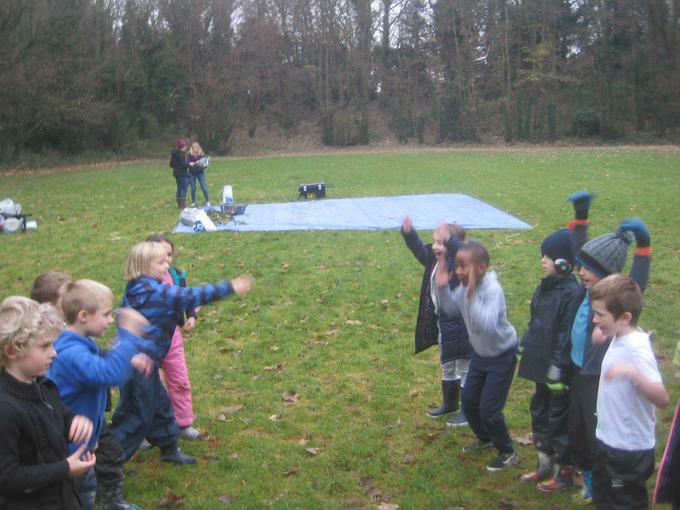 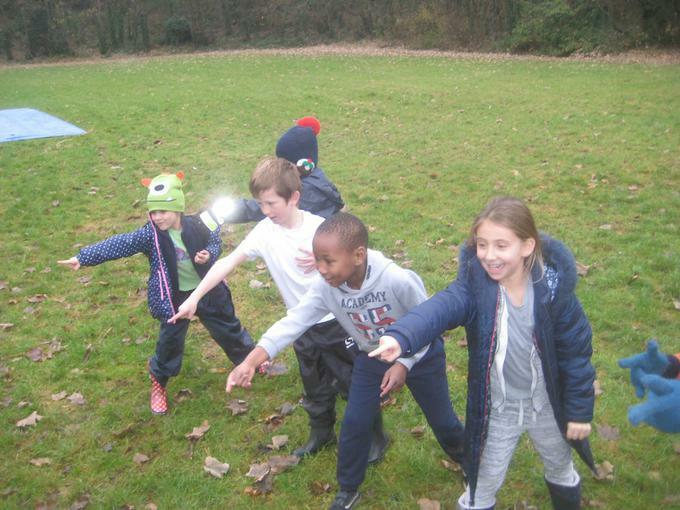 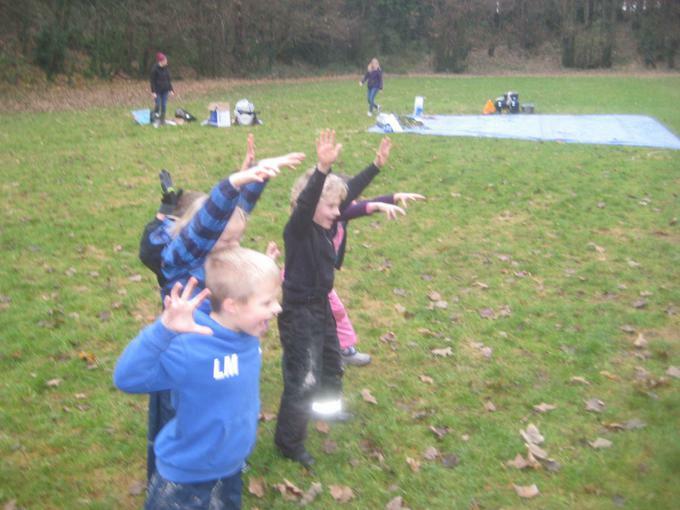 On a cold and cloudy December afternoon, Wriggly Worms started with a game called Giants, Dwarves and Wizards in which each of the two teams had to collaborate quickly in order to defeat the opposing team - effectively a team version of Rock, Paper, Scissors. 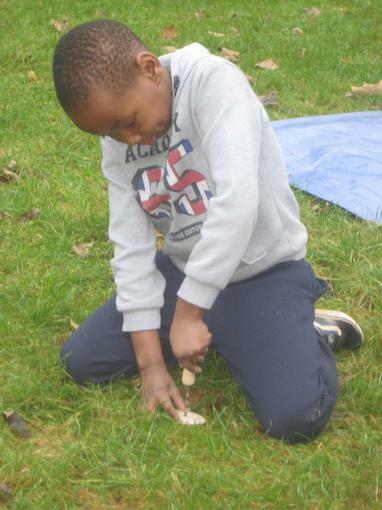 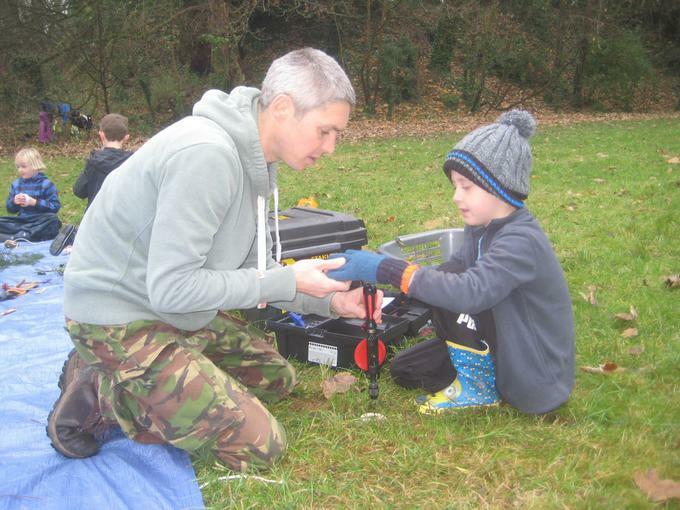 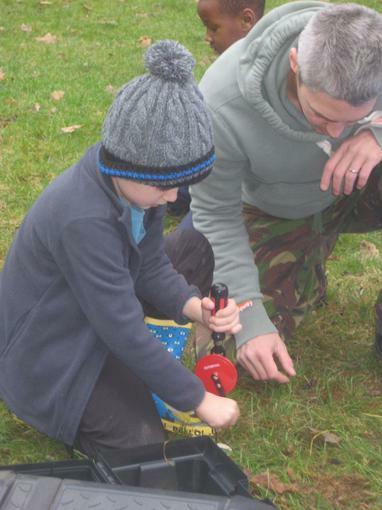 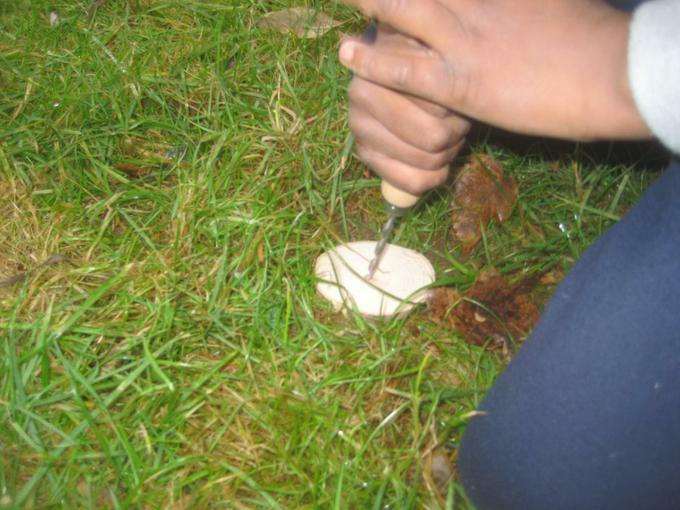 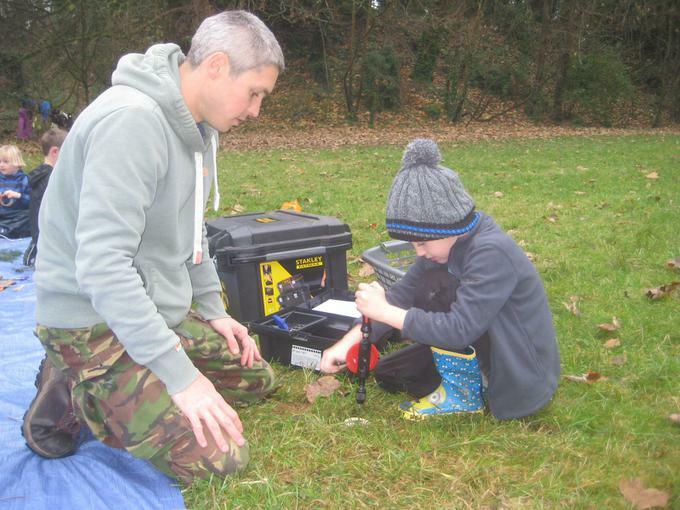 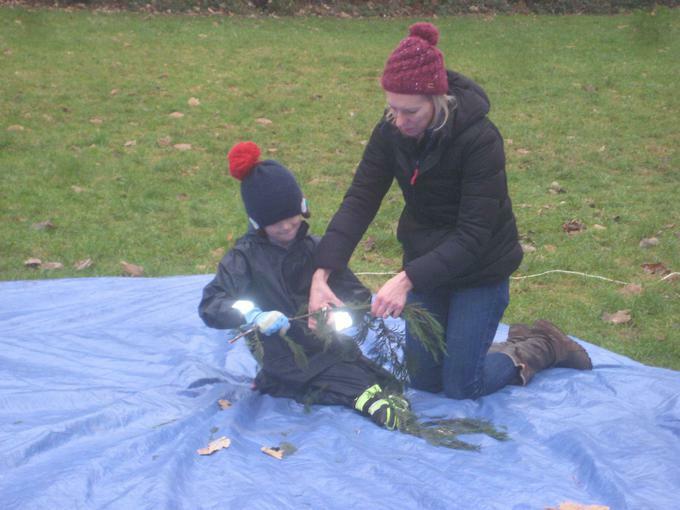 The children then thought about how to keep themselves and others safe while using the tools available to them today: the palm drill, the hand drill and secateurs. 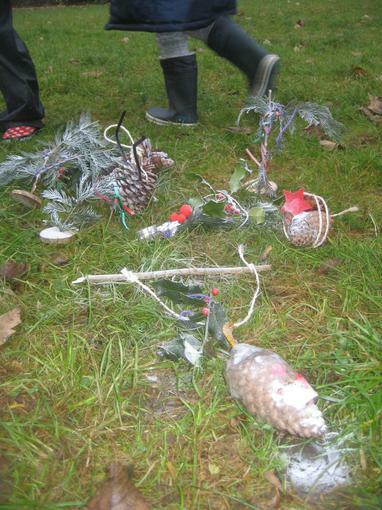 Throughout the session, the children used these tools independently (with appropriate supervision) and helped each other remember the safety points, for example ensuring no-one comes into your 'blood bubble', remembering when to wear gloves, walking with tools with the handles pointing down and passing them with handles facing the recipient. 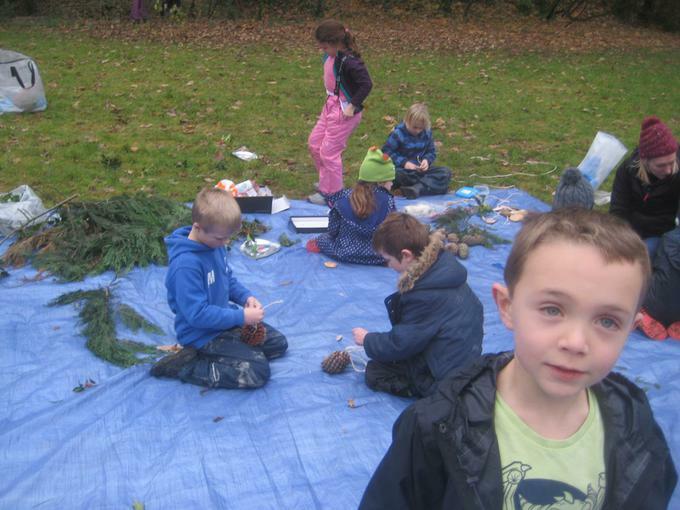 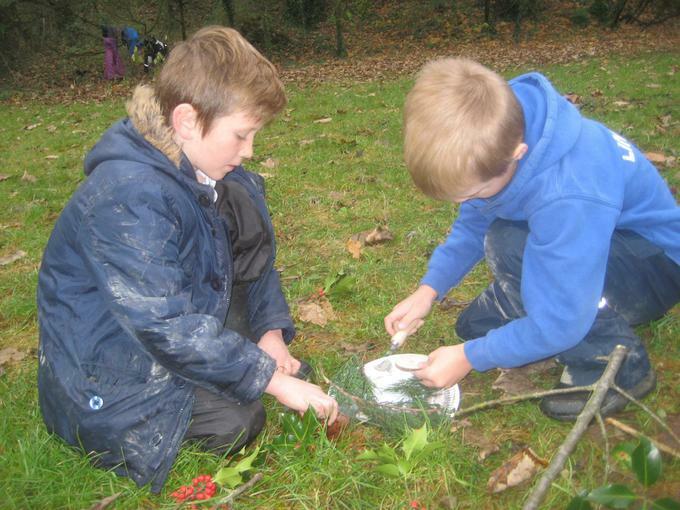 The children responded very well to the responsibility given to them and showed great concentration and perseverance when using them. 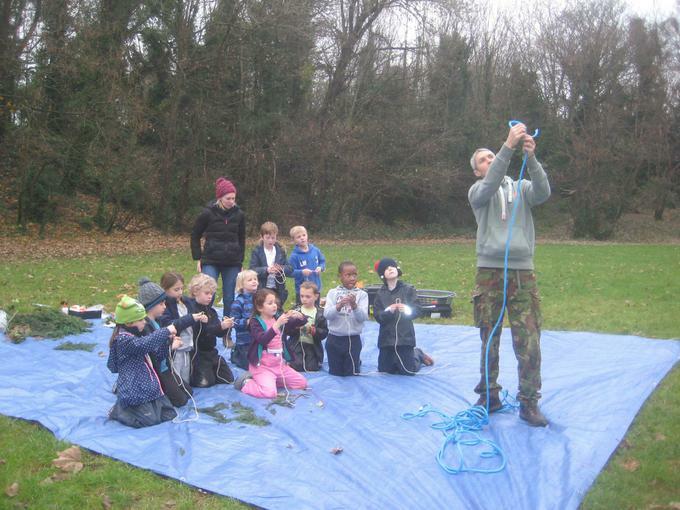 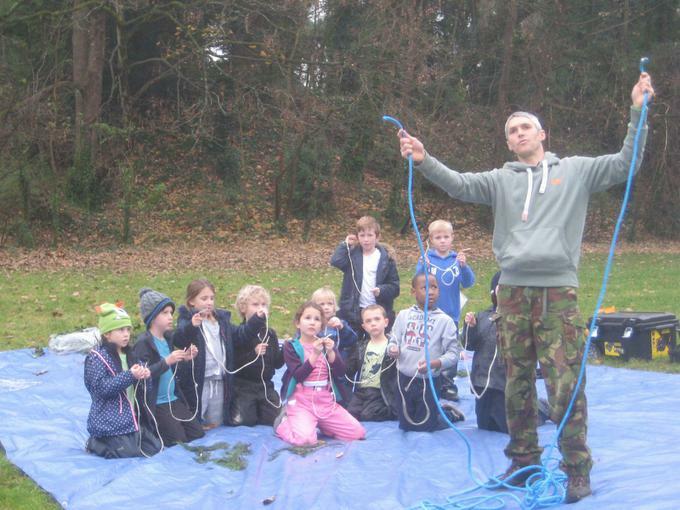 We also learned how to make two knots - the overhand knot and the reef knot. 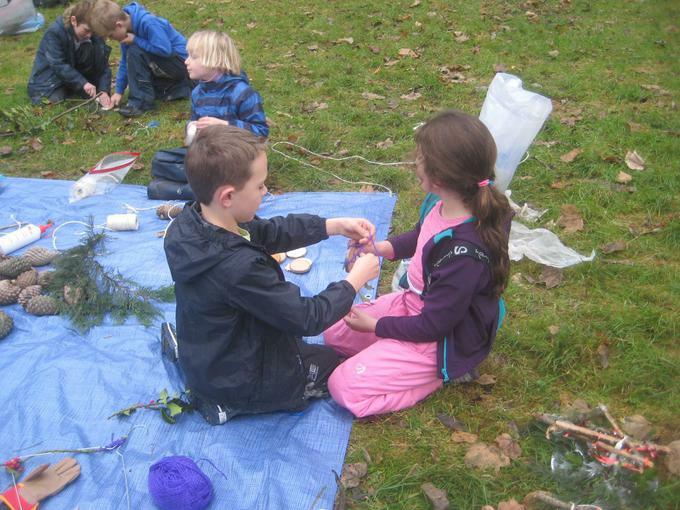 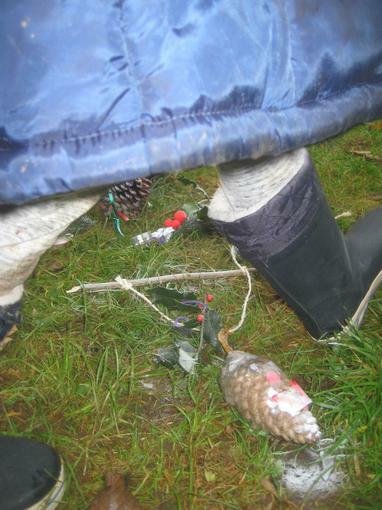 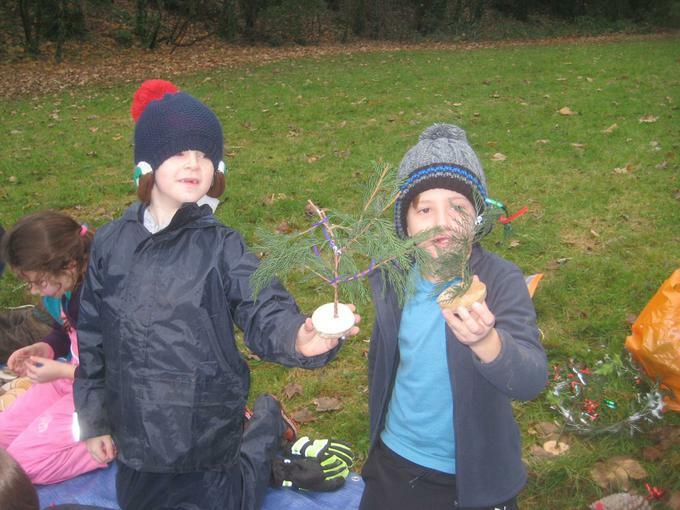 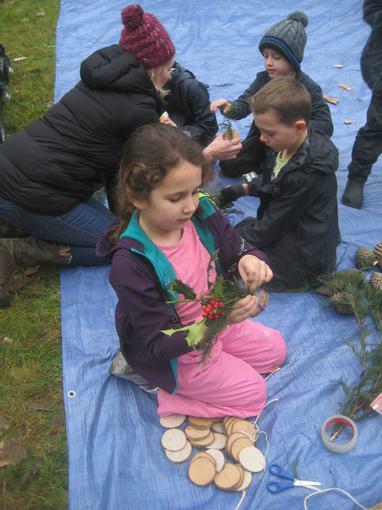 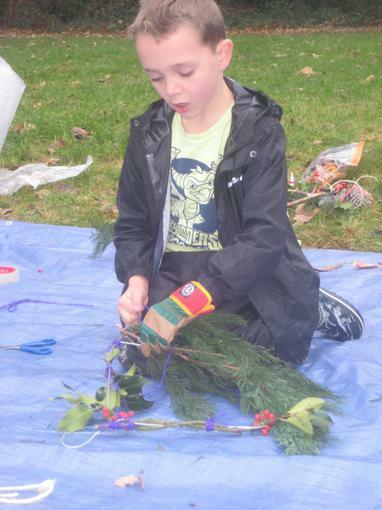 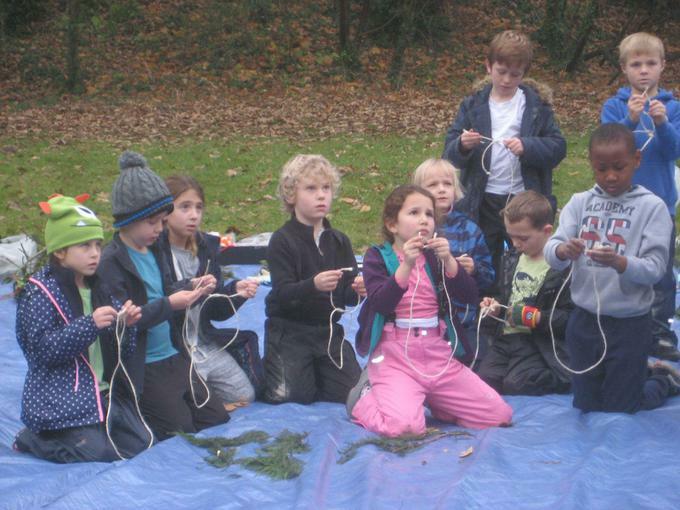 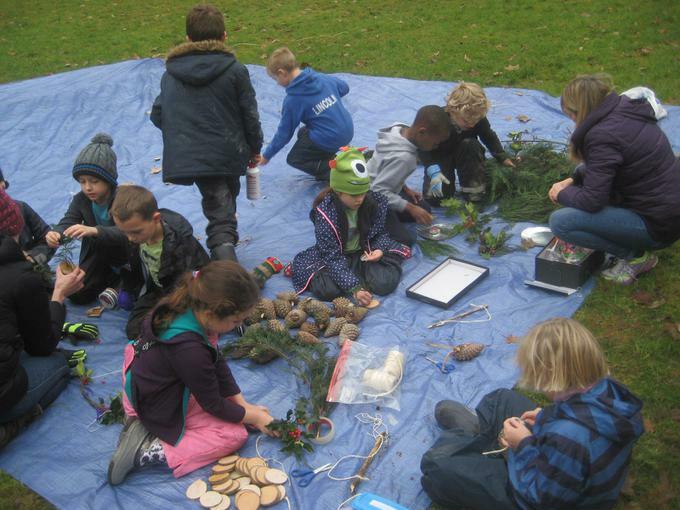 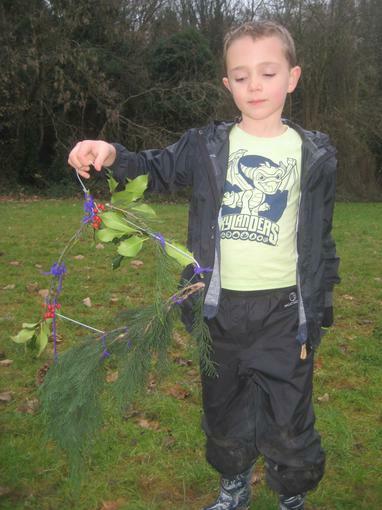 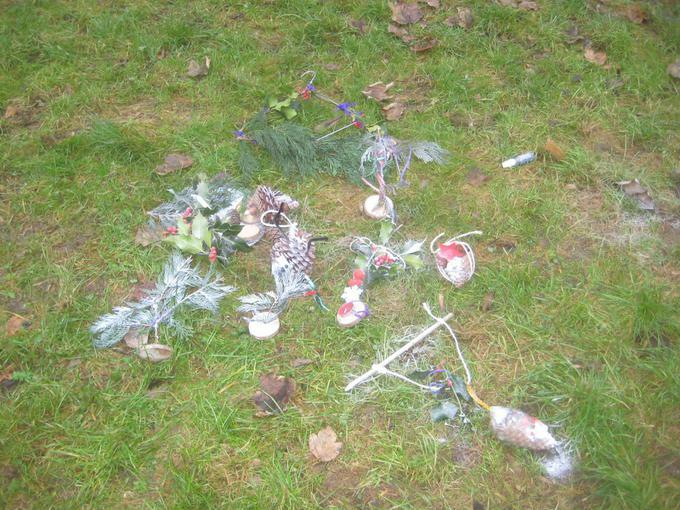 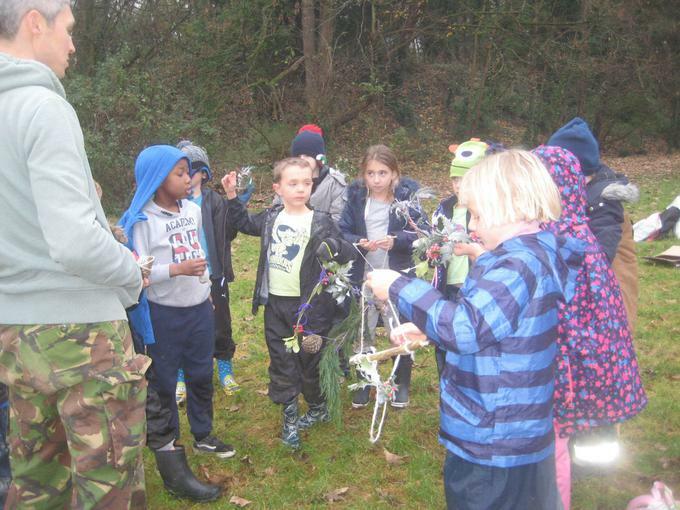 Applying these skills and their own considerable imagination, creativity and ingenuity, Wriggly Worms produced a wonderful array of festive decorations and, more importantly, grew in artistic self-confidence in the process.